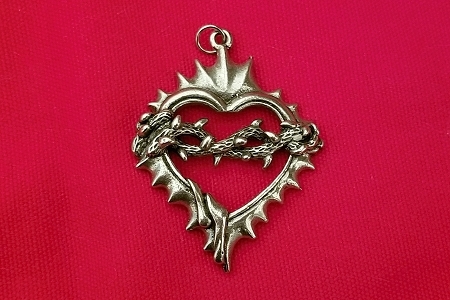 Including the hanging loop, this charm measures 7/8 inch (about 3/4 inch in diameter). 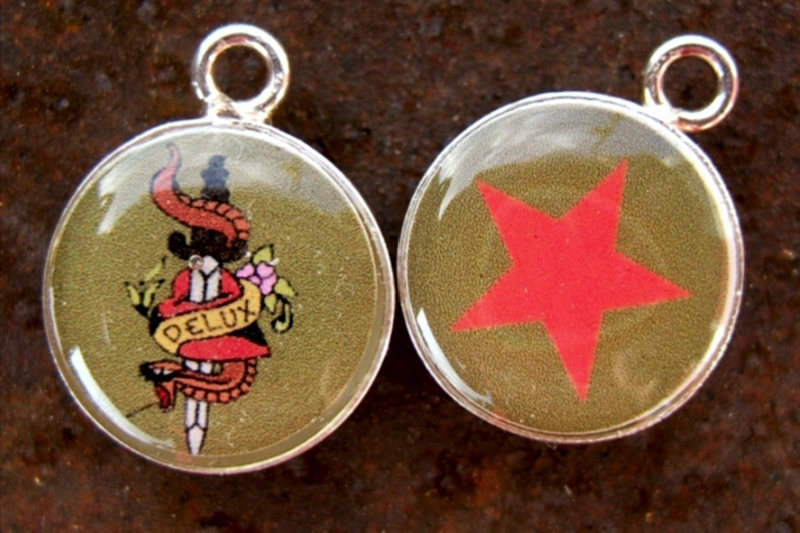 We are showing 2 charms so that you might see the front and back. These were sold to us as being sterling silver, but there is no hallmark to indicate that they really are. The images are quite clear and are covered with water-resistant (not waterproof) resin, so they are quite sturdy.